Super-Typhoon Haiyan (also known as Yolanda) has been devastating for several countries in Asia. The aftermath counts thousands of deaths and houses destroyed, and the recovery process is said to last for years. One other impact of the Typhoon was on shipments from Asia to United States, and in this case, carbon fiber raw materials coming from plants in Japan. Without any raw materials, the Moses Lake plant which produces carbon fiber for BMW has to shut down its furnaces. Restarting a furnace is said to take up to a week sometimes. 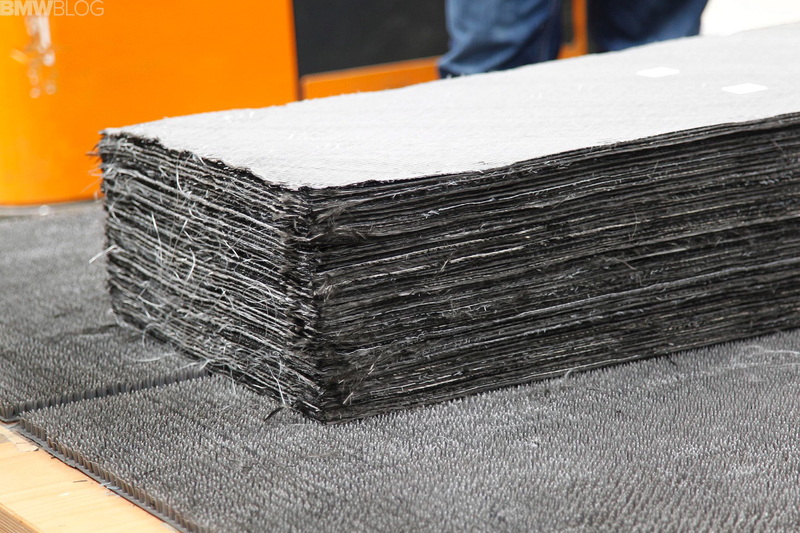 The process starts with the conversion of polyacrylonitrile into carbon fiber. The precursor is heated to precise temperatures in various stages (not unlike a beer brewer extracting sugars from the mash at various temperatures). The fiber comes out with only residual traces of atoms other than carbon. It is bundled into skeins and shipped to Wackersdorf, Germany for further processing into cloth. The cloth travels to Landshut and/or Leipzig for processing/pressing into CFRP panels. 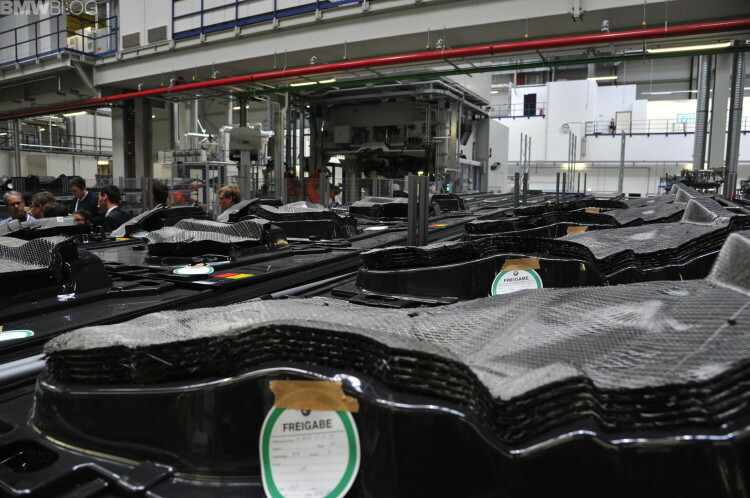 And the scrap from the processing is returned to Wackersdorf where it is recycled into cloth – according to BMW about 10 percent of the i3’s CFRP structure is composed of recycled cloth. The interwebs report that due to these circumstances, the production rate of the i3 has been slowed down and apparently there is a month-long waiting list for the i3 electric vehicle.